"The key to successful pothole repair is preparation, and the use of the right materials." DEAR TIM: My blacktop drive is in fairly decent shape except for a few potholes. I am confident that I can do the asphalt patch repairs but wonder what can one do to make a permanent patch? The highway crews in my area don't seem to have much luck as potholes seem to reappear in a short amount of time. 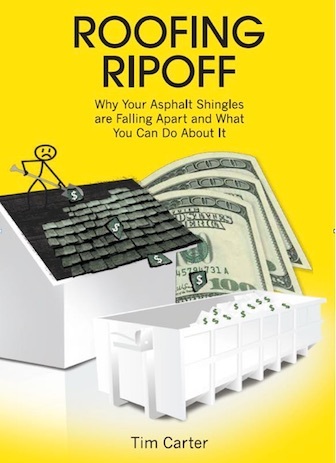 DEAR MARY ANN: Patching holes in asphalt surfaces can be done successfully, if you have some time, purchase the right material, and a use a few basic tools. Why Do Asphalt Potholes Happen in Winter? Many potholes tend to form in cold weather after a period of snow and ice is followed by a thaw. The water that thaws and soaks into the cracks of the asphalt refreezes at night. The ice expands as it freezes and blows apart the asphalt. Thousands of potholes can appear overnight and spread like an epidemic. Highway crews often work in adverse weather and dangerous traffic conditions. It's unrealistic to expect perfect results when many holes need to be filled in a short amount of time. What is the Best Asphalt Patch? The best asphalt patch is hot mix asphalt. To get the absolute best repair of the pothole, the asphalt next to the pothole must be reheated and blended into the patching material. Watch these two amazing video to see how it's done. The first video shows a larger machine, but the second video is a smaller man-powered machine you roll around! The key to successful pothole repair is preparation, and the use of the right materials. As I said before, the best material to use for pothole repair is traditional hot mix asphalt. This product is made at plants that mix liquid asphalt, sand and different sized gravel into a mix that flows while it is hot. As it cools, the liquid asphalt hardens producing a very durable surface. CLICK HERE to get FREE & FAST BIDS from local Asphalt Contractors who can repair or resurface your Asphalt Driveway. It's not easy, nor is it feasible, for you to buy hot mix asphalt. If you buy a small amount, by the time you get home it will not be workable. Is Cold Patch Asphalt DIY Friendly? Cold patch is very DIY friendly. It comes in managable bags and you can patch holes as small as 2 inches by 2 inches. You need to use a new and improved cold asphalt patching compound. It's absolutely the next best thing. 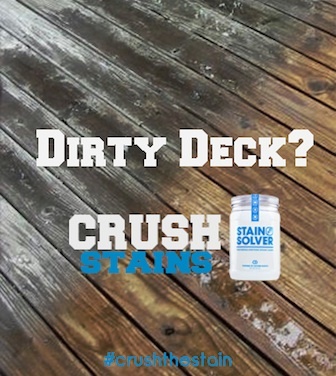 CLICK THE IMAGE to get a permanent Cold Patch Asphalt. Do you need to patch your asphalt? 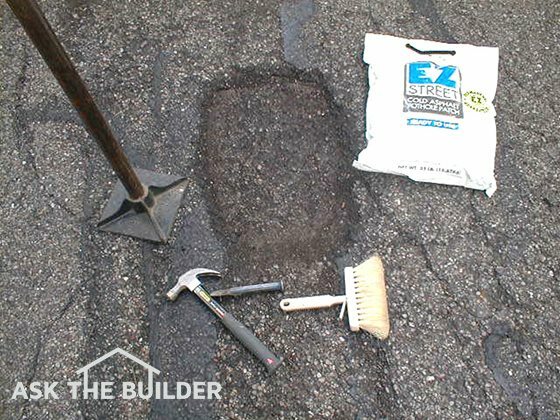 Save time and money by using my Asphalt/Blacktop/Tar & Chip Installation & Repair Checklist. I offer a 100% Money Back Guarantee. For many years, asphalt plants have made a cold patch asphalt that was intended for temporary patching purposes. This older material was difficult to work with and the asphalt binder that coated the stone particles often stripped off in a relatively short amount of time. When the asphalt disappeared, so did the patch. Fortunately, there have been some major advancements in cold patch asphalt technology. Are There Newer Cold Patch Asphalt Polymers? Yes, there are newer cold patch asphalt materials that contain polymers. The polymers increase adhesion so the cold patch sticks to the old asphalt. New synthetic polymer adhesive chemicals are now added to the asphalt that allow the cold asphalt patching products to produce permanent repairs when installed correctly. They're easy to use and very affordable. Does Cold Patch Flow Like Lava? Yes, cold patch flows out of the bags slowly like lava from the Kilauea Volcano in Hawaii. The new cold patch asphalt mixes flow readily when you use them. If you've ever seen a video of how lava creeps across the land in Hawaii, you'll know how this cold patch material flows from the bag. 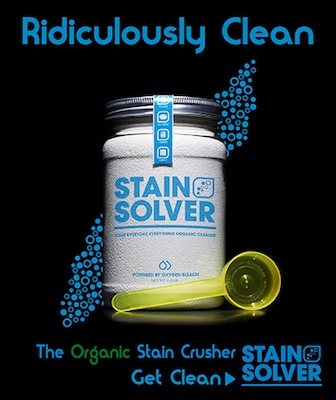 The material begins a curing process as soon as it's exposed to air and it's compacted. Thicker patches of cold asphalt are not necessarily better as they possibly will require longer periods of time to fully cure and harden. How Do You Install Cold Patch? The best way to install cold patch is to make sure the bottom of the pothole is slightly larger than the top. This dovetail shape helps hold the patch in place much like a filling in your tooth. Long lasting repairs require some minimal effort on your part. The key is the shape of the hole before it is repaired. The bottom of the hole should be wider than the top of the hole when you begin to add the cold asphalt. This is how dentists ensure a tooth filling doesn't fall out. By making the bottom of the hole bigger than the top, you create a dovetail joint much like cabinet makers have used to securely join two pieces of wood. CLICK HERE to see an assortment of chisels that will help you shape blacktop potholes. What Cold Patch Asphalt Chisels Are Best? The best cold patch chisels are ones about 1.5-inches wide. I'd use a cordless hammer demolition hammer to get the job done in seconds. This is a great cordless demolition hammer that will accept a wider chisel to trim the sides of an asphalt pothole. 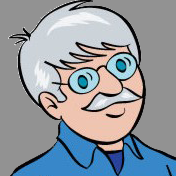 CLICK THE IMAGE NOW to have it delivered to your home. Use a chisel to create vertical faces on the sides of the hole that extend down to the solid base material or down to a previous layer of solid asphalt. Be sure to remove any loose pieces of old pavement and any dust. 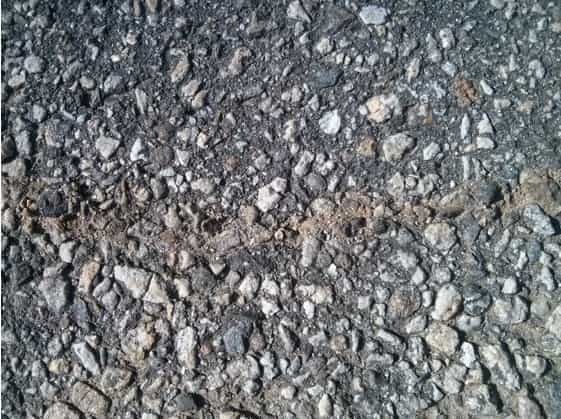 What is the Minimum Cold Patch Asphalt Thickness? The minimum thickness of patching material at any edge should be 1 inch. The preferred thickness of the patching compound is approximately 2 inches. If you have a deep hole to repair, install angular crushed gravel in the bottom of the hole. Compact this gravel well before you add the cold patch material. Do I Need to Use a Hand Tamper? Yes, you should use a hand tamper to compact the asphalt patch. Coat the bottom of the tamper with diesel fuel to prevent the cold patch from sticking to it. Tamping tools used for compacting gravel or the cold patch material are easy to handle. They're normally an 8x8-inch plate of steel. Just make sure you don't tamp your foot! CLICK THE IMAGE to see a wide variety of Steel Tampers that can compact Asphalt for repairs. Take your time to compact it very well with a steel tamper before you add the cold asphalt patching compounds. Once the gravel is compacted, add the cold asphalt so that it slightly above the surrounding pavement, level it and use a flat steel tamper to compact it. How Long Before You Can Drive on Asphalt Patch? Some of the new cold asphalt products maintain that they can be driven on immediately. This is true, but as each day passes, they get harder and harder. Avoid concentrated loads on fresh patches. Kickstands from bicycles and motorcycles can create dimples. Automobile tires that turn while the car is stationary can also damage a brand new patch. Should I Seal the Cold Patch? No, do not apply asphalt sealer to the cold patch. The sealer will prevent the patch from getting hard. Once you have completed your pothole repairs, wait a long time before you think about sealing it. Some places say to wait at least 30 days before you apply a liquid blacktop sealer. A sealer that is applied over a fresh patch will cut off the necessary supply of air to the cold asphalt. The cold patch needs the air to cure. If this happens, the patch can remain somewhat soft for a long period of time. If you're going to seal a cold patch, be sure the sealer has silica sand in it to fill the voids between the small cold patch aggregate. How Do I Do Asphalt Crack Repair? I repair asphalt cracks using an epoxy that comes in a caulking tube. I press small stones and scatter sand in the fresh epoxy to make the crack match the asphalt. As you wait for the cold patch to fully cure, take your time and clean out any cracks in the driveway area. Remove as much loose material as possible and fill them to within one-quarter inch of the surface with a great epoxy crack filler. Wait one week and then fill the crack to the top. Place small stones and sand in the fresh epoxy to disguise the crack. This two-step process will help to create a smooth surface at each crack location. Watch this video, but don't use the black goo in the caulk tube. About four years after I taped this video, I discovered a BETTER product to squirt into the crack. It's an amazing epoxy that comes in a caulk tube and is made for concrete. But I tested it on my blacktop drive and it worked FAR BETTER than the old technology black goo. CLICK HERE to BUY the epoxy. The epoxy you should use is demonstrated in the video below. IMPORTANT TIP: You do want to do the SAME PROCESS you'll see in the top video with respect to pressing in small stones and sand into the epoxy so you don't see the crack once done. Be SURE TO READ the column below the second video!!! CLICK HERE to read a recent column and see DRAMATIC before and after photos using the cool epoxy. Asphalt patch is easy to install. The trick is shaping the hole so the cold patch asphalt doesn't come out. I am trying to fill in a couple of depressions in a asphalt driveway perhaps up to 1/4" deep. What kind of liquid asphalt repair or sealer will put in a perfectly level finish that won't peel in the heat of the summer? Tim, you need to schedule a 15-Minute call with me. There's simply too much to talk about and type. 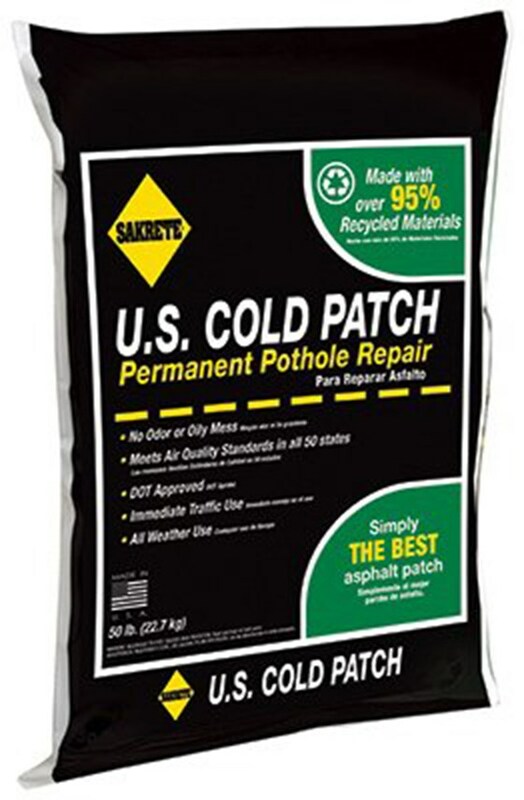 What specific cold patch product(s)/manufacturers do you recommend for patching driveways? How do you fill in minor cracks in a asphalt Driveway. Every year we have it filled by a contractor. The cracks returns after every winter. Is there anything that i can do to help prolong this from happening. Yes!!! Watch my video about Patching Driveway Cracks!!! patched, and sealed. How long does an asphalt patch supposed to last? The traffic here isn't really an issue, however, one of the holes that was patched is deeper than it was and it worse condition. How cold is too cold to pour an asphalt driveway. I live in Okotoks, Alberta Canada. The forecast is 2-7 degrees Celsius every day next week. I had a neighbor who does yard work repair my driveway by purchasing the asphalt mix. Then I purchased 15 (5 gallon) buckets of asphalt sealer. He stated he did this on a former job and had all the tools and knew exactly how to do it. He filled in the dips with about 20 bags of asphalt, then about 4-5 days later he sealed all of it. The repaired holes with the bagged asphalt are cracked and will not dry and are sticking to my tires when I turn on these areas. I read adding sand may dry them up. Is there a fix for this problem? You'r neighbor is an idiot. Do not allow him to do jobs again for you until such time as *you* go online to my website and review HOW TO DO the work. Had you done that, you would have quickly discovered in a past column of mine about asphalt SEALERS, that you NEVER put sealer on FRESH ASPHALT. You can sand it and hope for the best. It could take many months for it to cure out now. If you want instant gratification, then rip out what he did and do it right. READ ALL OF MY asphalt paving columns and my sealer columns first though. Asphalt patching doesn't seem as complicated as I thought it might be. Thanks for the informative video! i have a hole in my driveway, approx 8 inches across and approx 12 inches deep. The hole has had some sand and a couple of larger rocks placed in the bottom and then covered with pea stone. It appears this has filled the hole as the gravel has not sunk any further into the hole. I have some black top that I would like to pour over the pea stone to hopefully complete this fix. My question is will the pea gravel prevent the asphalt from settling and curing or is there something else I should place in the hole prior to the asphalt ? STOP!!!! Read this past column. You're about to make a HUGE MISTAKE. Pay close attention to what I say about gravel SHAPE. At work they buy a cold patch not the one in a bag but one that a truck drop. They put it in a trailer boxe that heat it up. I was wandering what the impact of doing that. Does it lose his quality and is it safe for health. When you have questions like that there's only ONE source for the authoritative answer - the manufacturer of the cold patch. Realize cold patch just has water as an emulsifier and when it evaporates, the mix is pretty much normal hot mix you'd get at a local plant. Tim, It seems to be the secret no one wants to write about. The concrete guys put a divot in the asphalt driveway with a bobcat and patched it with cold patch asphalt.Without applying heat, how long does it take for cold patch asphalt to set up before you can walk on it and not carry any into the house on your shoes? Unfortunately, it's in a next to unavoidable spot. thanx so much!! Your answer is just above. It was in the column. Look under the heading about How Long Before I Can Drive on Cold Patch.